European mounts are popular among deer hunters. 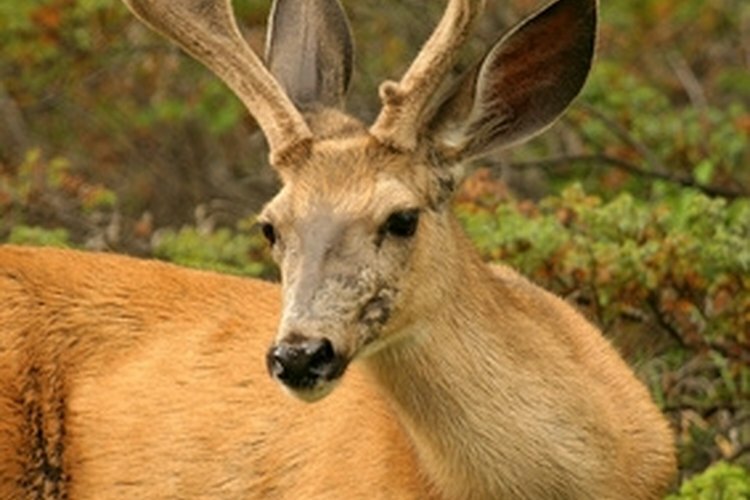 When hunters shoot large deer, many of them want to mount the animals. They can sit and look at the antlers and remember the hunt that produced their trophy. Some hunters want to do their own deer taxidermy. The European mount, which includes the deer's antlers and skull, minus the skin and fur, is a good option for hunters who themselves do not have the necessary skills to mount the deer head. Saw through the upper neck to remove the deer's head. Use a knife to remove all of the fur and skin from the head. Also remove the animal's eyeballs, brain and lower jaw. Pour water in your pan and set it on the stove top. Add a tablespoon or two of laundry soap. Heat the water until it comes to a rapid boil. Lower the skull into the boiling water. Be careful not to get the antler bases or the antlers themselves in the water. Use the knife and pliers to pick off all the flesh and anything else on the head. You may have to pull the head out and re-submerge it several times . Remove the skull from the water once you have most everything removed from the head. Use a hard-bristled brush and gently brush the skull to remove anything still on it. Wash the laundry soap off the skull once you've got everything removed from it. Dump the water our of your pan and fill it with hydrogen peroxide. Submerge the skull in the hydrogen peroxide, being careful not to dip the antlers themselves into it. Remove the skull from the hydrogen peroxide once you are satisfied with its color. It should be bone white. Let the European mount dry.